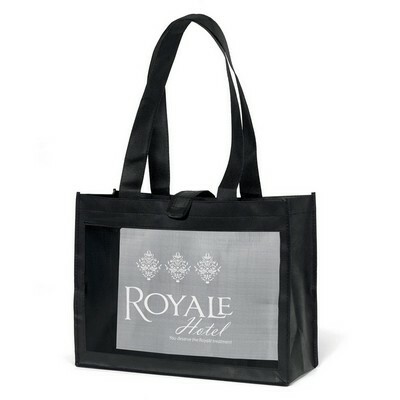 Our branded Royale shopping bag - screen printed is made from 100 GSM non-woven polypropylene. Carry the Royale shopping bag - screen printed with style and make a majestic statement the next time you go shopping. It is made with 100 GSM non-woven polypropylene. It has front and back mesh panels. The two inch wide and twenty eight inch long handles make it easy and comfortable to carry. The wide Velcro strap closure ensures that your shopping items remain safe and secure without spilling out. Screen print the bag on the mesh panel or gussets, with your company’s logo, to make a royal impact on new and existing customers.